Paddington Bear adventures — enough for more than a year — is exactly what Mill Creek Entertainment has planned this Christmas. On Nov. 25, a three-disc set titled Paddington Bear: Collector’s Edition will be ready for retail. 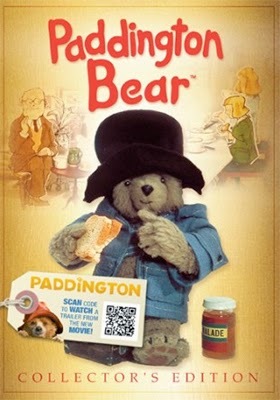 With this DVD collection parents can plan a one-per-week Paddington Bear “storytime adventure” for their little ones that will last for more than a year (without a repeat). A full year’s worth of family-friendly adventures — that can be a great companion to the popular series of books about Paddington Bear written by Michael Bond — for just $14.98. Timed perfectly for Christmas! 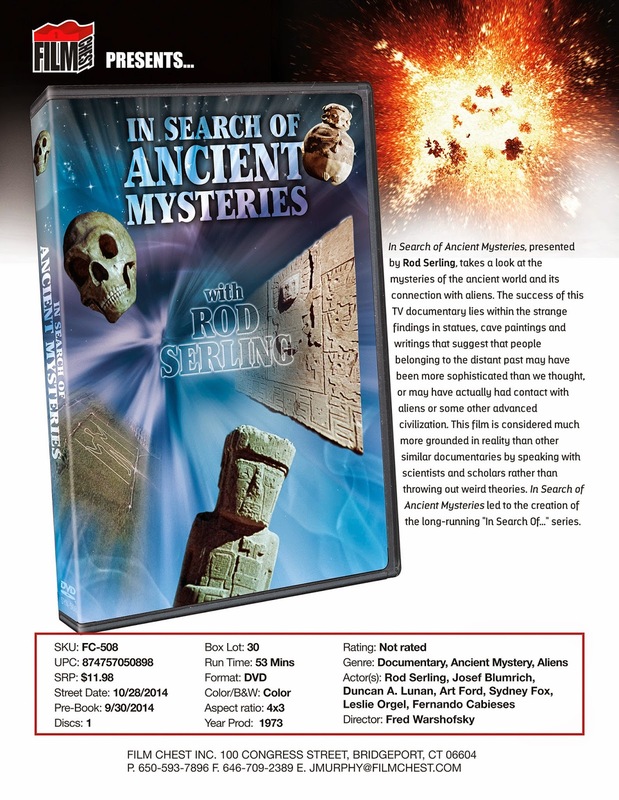 Writer/director Fred Warshofsky’s 1973 groundbreaking documentary, In Search of Ancient Mysteries, has been given a full restoration from the Film Chest Media Group and will be on its way to the DVD market place on Oct. 28. Hosted by The Twilight Zone creator Rod Serling, this production — so well received at the time — was the catalyst that launched the popular In Search Of … TV series in 1977 (hosted by Leonard Nimoy as a result of Serling’s tragic death in 1975 from complications from emergency heart surgery). 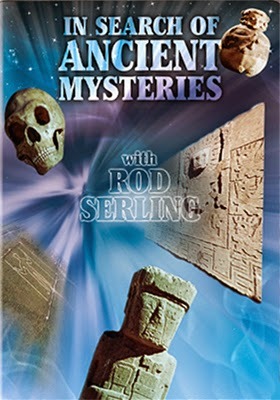 Filmmaker Fred Warshofsky examines the then-growing postulation of “Paleo-Contact” driven by tantalizing, and yet unexplained, discoveries and observations that point to extraterrestrial beings having left their “footprint” from pre-history visits. Of note, within the decade Hollywood would take up the subject with a vengeance. 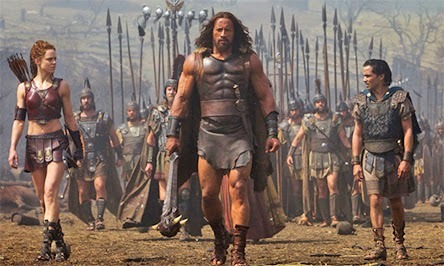 Paramount Home Media Distribution has selected Nov. 4 for a three-SKU helping of director Brett Ratner’s surprise summer sword and sandal hit, Hercules, starring none-other than Dwayne Johnson as the legendary son of Zeus. The ARR is 102 days and ticket sales were a robust $72.1 million. Planned for release are a stand-alone DVD edition, plus two Blu-ray/DVD Combo Pack SKUs — one with, and one without a 3D viewing option. This is a film that could have gone horribly wrong. 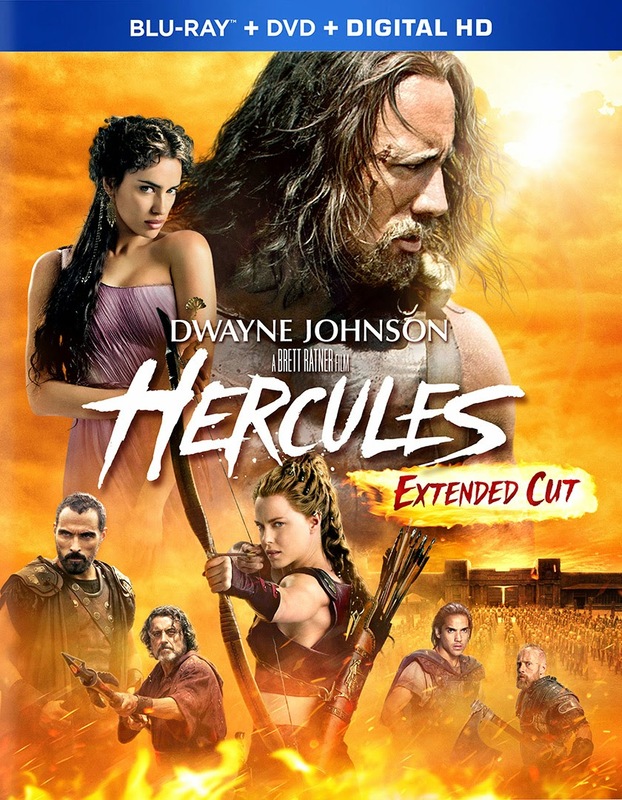 Dwayne “The Rock” Johnson as Hercules, the son of Zeus — the late Steve Reeves reborn — on paper it just looked like a really bad concept ready to be translated into a very bad summer movie. But guess what, filmmaker Brett Ratner, who seemed like an unlikely candidate for this type of period piece, combined nicely (style-wise) with Johnson’s winning screening persona to deliver a film that certainly surprised those who took up an aisle seat at the local multiplex expecting nothing more than a two-hour diversion. 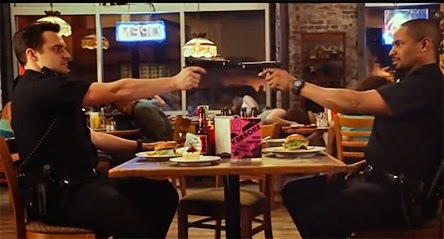 Johnson has never looked better — a real action hero, with a physic to carry it off without being cartoonish — the story is engaging and Ratner’s direction fits nicely with his sly-style. It would not come as a surprise if Paramount has the makings of an action franchise here … it is certainly worth considering. Bonus features include an introduction by Johnson and Ratner, commentary teaming director Brett Ratner (Rush Hour, Red Dragon, X-Men: The Last Stand, etc.) with producer Beau Flynn (Red Dawn, Journey to the Center of the Earth, Hansel & Gretel: Witch Hunters, etc. ), plus there are 15 deleted (or extended) scenes and four production featurettes — “Hercules and his Mercenaries,” “Weapons!,” “The Bessi Battle” and “The Effects of Hercules.” Exclusive to the Blu-ray SKUs are an extended cut of the film. 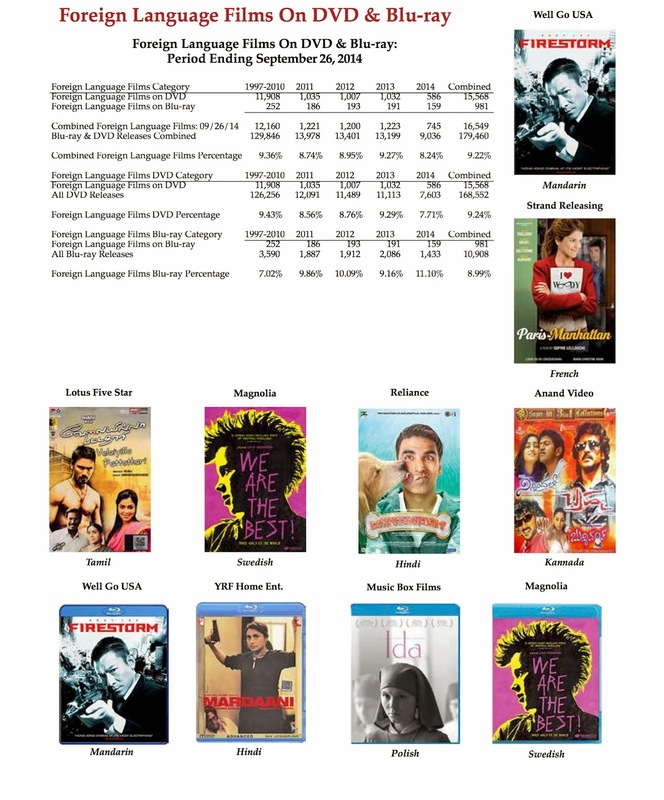 The Criterion Collection closes out 2014 with an interesting selection of new DVD and Blu-ray product offerings. Clustered as a group — with a delivery date of Dec. 9 — are a trio of films with both Blu-ray and double-disc DVD buying options. 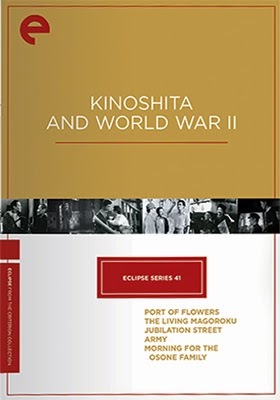 These are: The Night Porter, Safe and Time Bandits, but the far more interesting release is the DVD-only film collection titled Kinoshita and World War II, which has been a Dec. 16 release date. More on this is in a moment, but the first the details on Dec. 9 array of films getting the Criterion treatment. 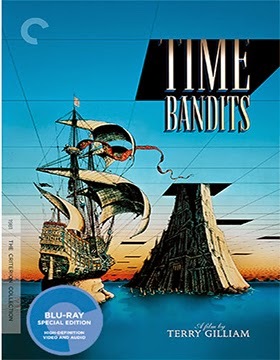 Python, animator and filmmaker Terry Gilliam’s 1981 visual feast, Time Bandits, arrives with a new 2K digital restoration supervised by the filmmaker himself. 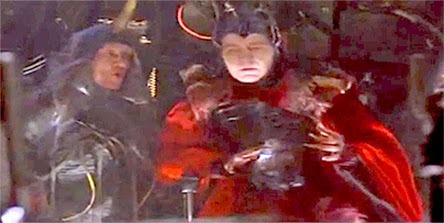 Bonus nuggets include a commentary track teaming Gilliam with fellow Monty Python members Michael Palin and John Cleese, who are joined by cast members David Warner and Craig Warnock, plus two vintage pieces (a 1998 video featuring Gilliam with film scholar Peter von Bagh and 1981 clip with Shelley Duvall on the Tomorrow Show) and a newly-prepared video “conversation” between Prof. David Morgan production designer Milly Burns and costume designer James Acheson. Writer/director Liliana Cavani’s 1974 film erotica, The Night Porter, teaming Charlotte Rampling and Dirk Bogarde, also has a new 2K digital restoration, newly-prepared interviews with filmmaker Liliana Cavani and co-writers Barbara Alberti and Amedeo Pagani and a 1965 documentary by Cavani titled Women of the Resistance. Rounding-out the Dec. 9 trio of new Blu-ray and DVD film offerings is writer/director Todd Haynes 1995 arthouse entry, Safe, starring Julianne Moore (fresh from her breakout performance the previous year in Vanya on 42nd Street) as an affluent housewife who retreats from the world around by becoming ill. A horror story of the mind with bonuses that include commentary from filmmaker Todd Haynes and producer Christine Vachon, who are joined by the film’s star, Julianne Moore, plus there is a newly-prepared video featuring Haynes and Moore and lastly, Hayes’ 1978 short film titled The Suicide. The aforementioned collection titled Kinoshita and World War II streets on Dec. 16 and showcases five films from Japanese filmmaker Keisuke Kinoshita, including four directed by him during World War II — Port of Flowers (aka: A Blooming Port; The Blossoming Port), The Living Magoroku, Jubilaton Street and Army — which is remarkable in itself in that they were actually made and that they survived the war. The fifth film in the collection was made during the immediate aftermath of World War II (during MacArthur’s reconstruction period) and is titled Morning for the Osone Family. For film buffs, scholars and just the plain curious, this is an exceptional collection from Criterion. 20th Century-Fox Home Entertainment has signaled that it will be pulling back sharply on marketing, advertising and publicity efforts on behalf of its hit theatrical releases going forward. Perhaps, just perhaps, this is a signal that the DVD and Blu-ray formats are becoming simply too hard for the studio to manage and market effectively. Of note, the studio was one of the last hold-ups, clinging desperately to VHS as the future for home entertainment, before finally reluctantly joining the lucrative DVD gold rush in November of 1998 — a full year-and-half after Warner Bros. took the lead in launching the format! Bad decision-making back then; poor decision-making now … perhaps it is something in the water in Century City? 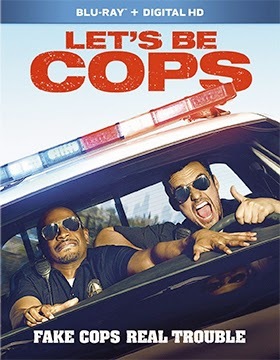 The first casualty of this new no-promotion policy is writer/director Luke Green’s hit summer comedy Let’s Be Cops, which is being dumped without fanfare into an already very busy Nov. 11 release slot … a date dominated by Warner Bros. Home Entertainment’s Tammy and Jersey Boys. Details, as to bonus goodies (if any) are lacking for this buddy-comedy starring Jake Johnson and Damon Wayans, Jr. … which arrives with a quick-to-market ARR of just 88 days. Ticket sales were a stellar $77.2 million, which makes it all the more puzzling as to why the studio is abandoning any and all promotional efforts for this winning comedy. 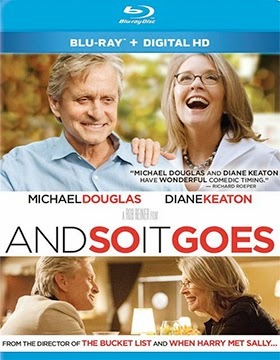 Excuses can be made, however, for director Rob Reiner’s summer turkey, And So It Goes, starring Michael Douglas and box office poison Diane Keaton. Industry reports that it cost north of $30 million to produce, but only took in $15.1 million in domestic ticket sales. Nothing but red ink there for this box office bomb! So, in keeping with the new no promo policy, why make the effort on Nov. 18 when it makes the transition to the home entertainment market place … DVDs and Blu-rays sell themselves, you know (and squirrels hunt in packs), and that old saw about home entertainment being the savior for box office duds has, apparently, suddenly gone out of style. For the record, the ARR for the DVD and Blu-ray SKUs of And So It Goes works to 116 days. 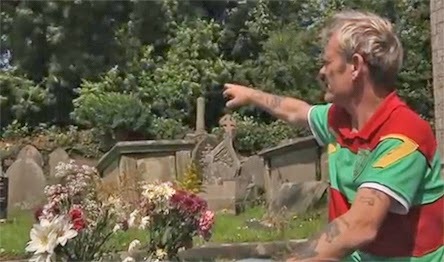 The most depressing town in all of the world just may be the hamlet of Bridgend, Wales (with a population of right around 15,000 people … 100,000 throughout the “Borough”). By all accounts it should be a tranquil place, well-away from the hustle and bustle of London, and even Bristol, the only large population center within a 50 mile radius … but it is not. 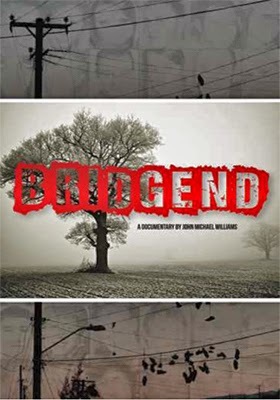 Bridgend, Wales — and the goings on there — are the eerie subject of documentary filmmaker John Michael Williams’ film, Bridgend. This tale of the macabre, which would normally be reserved for fictional horror films, examines the overwhelming number of teenage suicides (almost all of them by hanging) that have taken place since 2007. 79 and counting (statistically that is off the charts)! Virgil Film & Entertainment announced this past week that this true-life mystery (that is so incredibly hard to get your head around) will be made available on DVD this coming Nov. 11. Is it a cult? Is there something more to it … something sinister? “Death Town,” as it is now nicknamed, is quickly becoming a place of legends, tall tales and one very large unsolved mystery. The documentary filmmaking team of Tony Armer and J. Declan Flynn and the examination of the incredible turnaround of Todd Crandell from drug-addicted, homeless and battling alcoholism to becoming an elite endurance runner is examined in Running with Demons. This incredible story is making its DVD debut from Indican Pictures on Oct. 21. It is certainly not for everyone, but for Todd Crandell rebuilding his life into that of an elite, world-class runner was both an obsession and a life-saver. 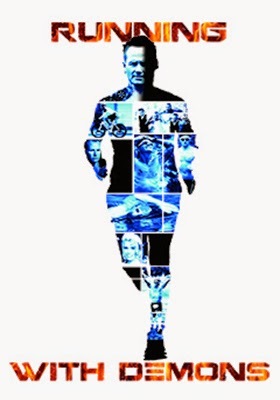 He began the process of healing in 1999 and by 2008 he was the only competitor to complete the Ultraman Hawaii triathlon (day one consisted of a 6.2 mile swim and 90 miles of biking; day two followed with over 170 miles of biking and day three was a 52 mile run — a double marathon). Six days later, he completed the Ironman Western Australia competition. Firestorm (Mandarin) • Well GO U.S.A.